My return to biketrial may be a short one, let’s see how my knee and other parts of my ageing body hold out !! 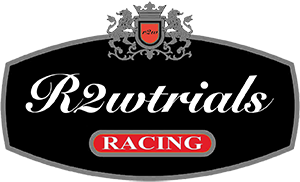 But i am going to give it a go, if only to help lose some weight and hone technique that i may be able to use on the motorcycle trials side of things. A good place to start would be the bike i guess .. 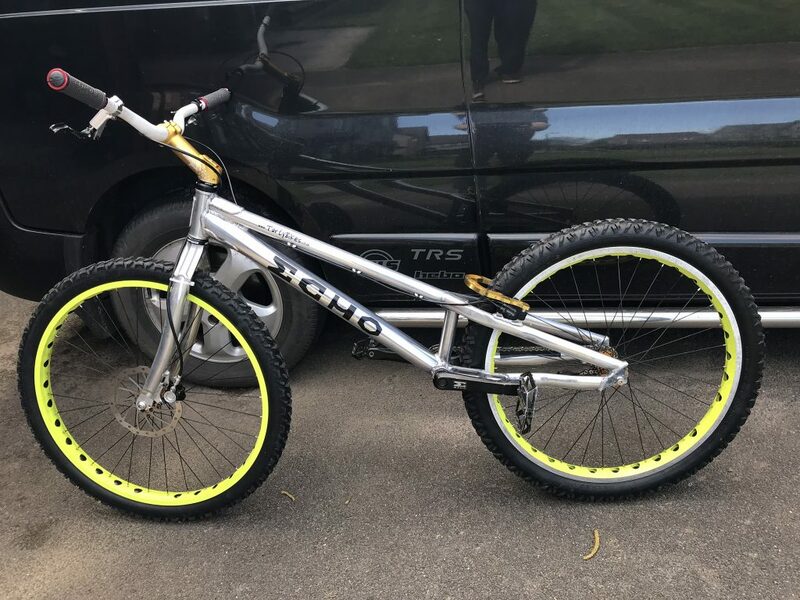 Some 10 years ago i had an Echo Pure built up that, i was told after i had purchased it, had started life with Danny MaCaskill. Sadly none of his skills had rubbed off on the bike but i had fun on it for a while and moved on. 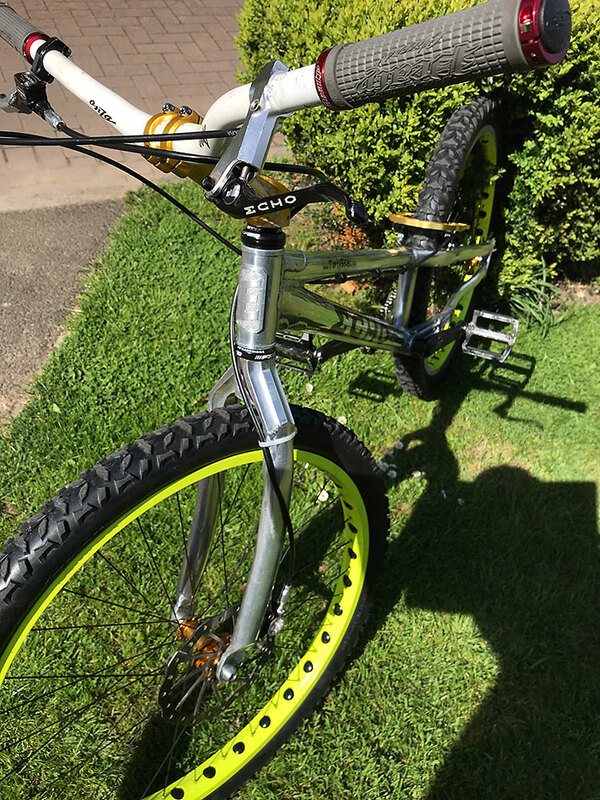 Amazingly a couple of weeks ago good mate Francisco acquired it, but he very quickly found that he couldn’t get on with a stock 26 inch bike and needs a mod … so here it is, back in my garage. The only bike i had ridden in the last few years was a hop around at the BVM test day on a new Jitsie Varial, and they are so different to how i remember. They now have high and long stems and very high bottom brackets, but it did make it very easy to hop around on the back wheel. Even though i hadn’t touched a bike for at least 5 years i was hopping away like a mad man within minutes. But the Echo felt very hard work, not just because of the weight but also because of the set-up. There is nothing i can do about the frame dimensions but Tarty Bikes had a sale on and there was the perfect stem for what i wanted, and in gold to match the wheel hubs and brake booster 🙂 .. the bars feel a bit narrow but i will get used to them quickly, i have been experimenting with turning them further forward to get the reach and feel i like best. It came with a nice old Hope mono mini front brake, coupled to a wavy disc. And the rear has an Echo hydraulic lever coupled to the normal Magura pistons, it needs a bleed and i can’t for the life of me find my old kit so waiting for one to arrive via ebay ! 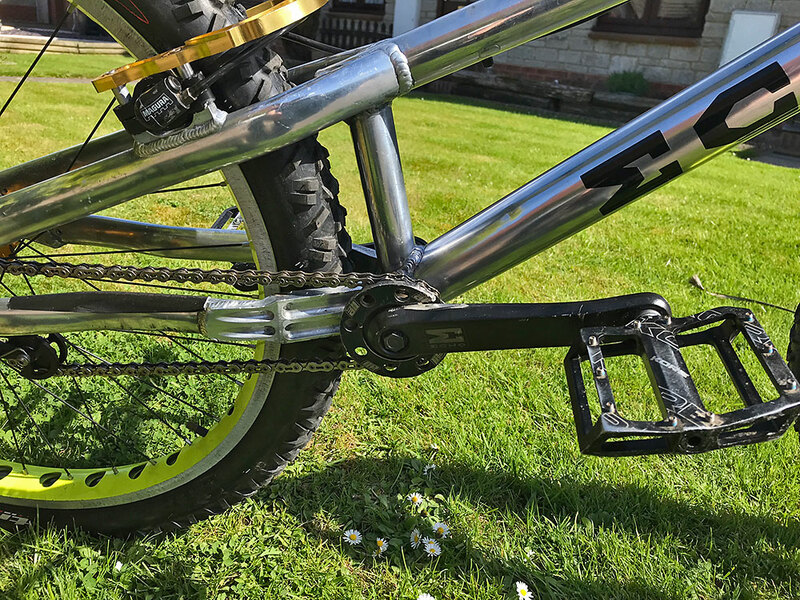 I fitted some slightly longer Echo crank arms that i still had laying around, thankfully the people who had the bike between my two ownerships had still used the old Shimano UN52 bottom brackets so the Echo arms fitted! At the same time i put on a smaller and thinner Echo rock ring, which no doubt i will be abusing a lot. The gearing is fine for me, whatever it is, and i fitted a KMC Kool chain i still had laying around … it wasn’t too rusty!! 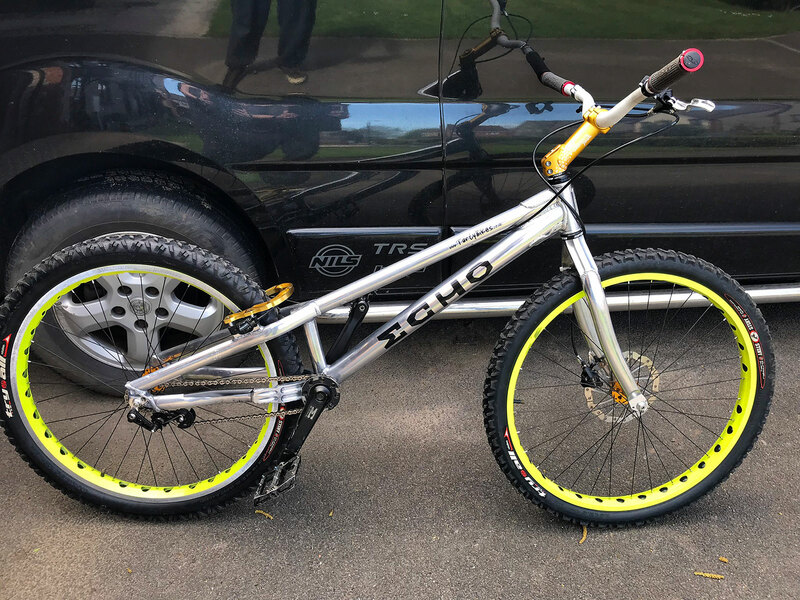 The gold Neon hubs have been laced onto nice fluro rims with black spokes and i think it looks ok for an old bike … Motorcycle trials riding friend Ben Sprigg, via his company Boxsox, now has a graphics plotter and did a nice selection of Echo replica stickers to complete the look.